The Valentine's Day (February 14th) we know, love and tolerate today ritually involves us expressing our gratitude to our girlfriends for staying with us even when we ignore them. If you made some mistakes and started a nonsense quarrel. It is your time to change the mood. There are many things you can do in Valentine's day such us inviting her to date, giving flowers, etc, or maybe buy her a car. Most of good guys and partners will try to make things up in this day so everybody is busy trying to impress their partners. Will that be a problem if you prepared something for a date but will not be successful? Here are some problems we have encountered in the past, and how to fix them. Problem: The malls, dating places, restaurants will be too populated and have long wait times, since it is very special day to every relationship. Tips: Why not make your own food isn't more sweet? Cook a meal at home for a candlelight dinner. Buy something that you would not normally make as a meal at home, preferably something that you would buy had you gone out to eat. If you are not good in cooking try to buy something that is special or else make your special day the worst day. Problem: The Cinemas will be packed and therefore loud. Tips: If you have Pay Per View, order a new movie at home. If not, go to your local video store and rent a movie you haven't seen for a nice night at home. Problem: The department stores will be chaotic with people running to get last minute gifts. Tips: Purchase your gift, at the latest, the day before Valentine's Day. Alternately, you could order a gift online and have it shipped overnight. Or you can wait for the February 15th and buy the most expensive 50% sale chocolates. Problem: The gift you wanted to purchase is out of stock at the store. Tips: Again, try ordering it online and having it shipped overnight or express. If this isn't an option you could make a thoughtful IOU with a picture of the item. Explaining that the store was out will help your loved one to not feel forgotten. Problem: All the good Valentine's Day cards gone. Tips: You know what you wanted, so why not make it yourself? Creating your own card will be accepted very well by your loved one because it is viewed as being more thoughtful and sincere. Problem: You have to work on Valentine's Day. Tips: Schedule your Valentine's Day date with your loved one either two days prior or within two days after Valentine's Day. Compromise a day that fits both your schedules, when neither of you have to work. Problem: You can't go out because you do not have a babysitter. Tip 1: Have a family Valentine's Day dinner. After the kids are off to bed you can watch a romantic movie together. Remember to cuddle. Tip 2: Send the children to bed a little early. Take an extra hour that night to celebrate with each other. Again, a movie is a great way to celebrate at home, but throwing in a remembrance chat about when you first met, or first started dating, will make the night feel even more special. Problem: There isn't any extra money, or not much extra, to spend on Valentine's Day. Tip 1: Family Dollar and Wal-Mart both have small heart shaped boxes of chocolate. I picked up mine for $1, and they each had four pieces in. Just a small token of appreciation will be remembered. Tip 2: Create a gift from things you already have at home. Cutting a heart shape out of an old box and making it into a mini scrapbook of your lives together is a great celebration of your relationship. Problem: My significant other doesn't eat chocolate. Tips: They have to eat something! A box of SweetHearts SweetTarts is .33 at most stores and offer a variety of flavors. I also saw some delicious looking heart shaped, cherry flavored, lollipops. If nothing else it will show that you tried! If your significant other doesn't like sweets of any kind, go with flowers. Problem: My significant other doesn't like flowers. Tips: I hope they like chocolate. Wal-Mart had a beautiful red color chocolate rose for just a few dollars. Problem: No flowers and No chocolate! Tips: Teddy Bear. Most retailers have Teddy Bears with different love messages on them, and in all sizes. My husband once got me a four-foot tall one with a big heart on its belly that said I Love You, followed by the year. Tips: Go with a live animal! Puppies and kittens are adorable and fun. There is a large amount of these two types of pets at shelters across the entire country and I am sure one of them will be happy to go home with you. Problem: None of the traditional or expected is going to work. Tips: I bet there is something your significant other needs. This year I am getting a new All-In-One printer. Not only is it something I need, it is something I have been wanting for a few months. Think outside the box. Rather than think traditional hearts, expensive gifts, stuffed animals, chocolate, and flowers, in these hard times, think about what your significant other needs, will appreciate and or has wanted to buy. 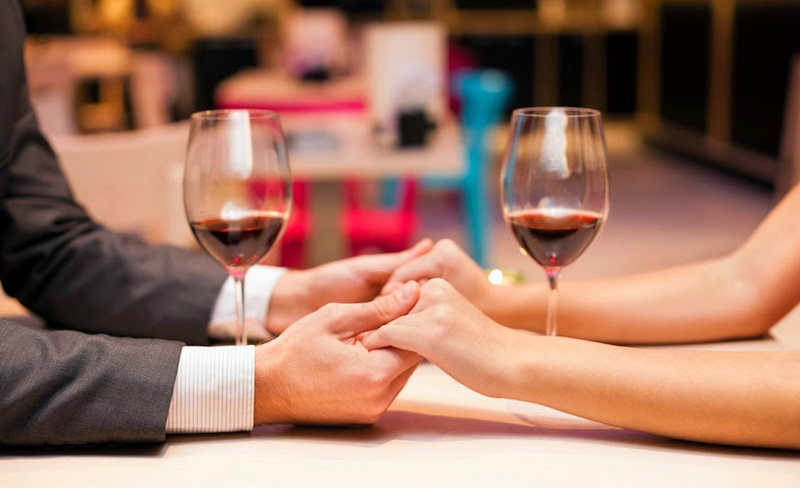 Do you have any tips for Valentines date, any inexpensive tips for that special day will be appreciated so please comment them below and let others be happy for your tips.